I watched a u-tube video of a fast food employee making one with soft ice cream. Well that looked easy. I gave it a try, but obviously I had to use hard ice cream. I was up for the challenge. This is one of those recipes that isn’t really a recipe. Cut apiece of parchment or waxed paper to fit the bottom of a 9″ Springform. Place parchment paper circle in the bottom of the pan and lightly oil the sides. Place pan in the freezer. Thaw 1 container of Vanilla Ice Cream to spreading consistency. Remove pan from freezer. Spoon softened ice cream into the bottom of frosty pan, about 3/4 or more of the container. Using an offset spatula spread ice cream along the bottom and up the sides of the pan. Hint: It is important that the pan be frozen so the ice cream will stick to the sides. You may have to replace it for a few minutes to refreeze if it gets too warm while spreading. Place ice cream lined pan in the freezer. 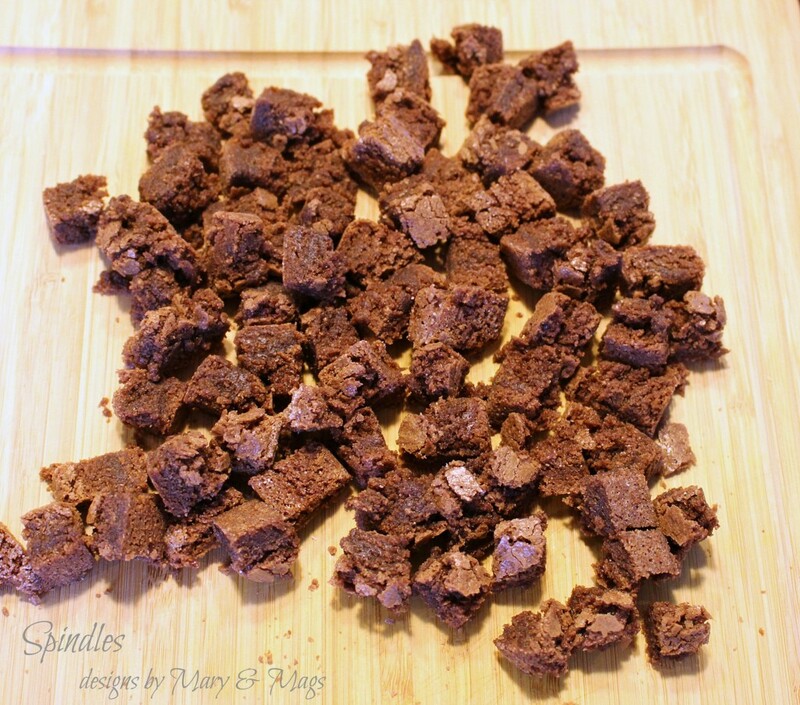 Cut brownies into about 3/4″ cubes. Remove ice cream lined pan from the freeze and sprinkle the bottom of the pan with cubed brownies. The bottom should be covered. Heat the hot fudge sauce in the Microwave according to the manufactures label. Pour enough sauce over the cubed brownies to cover them. Replace cake into the freezer. 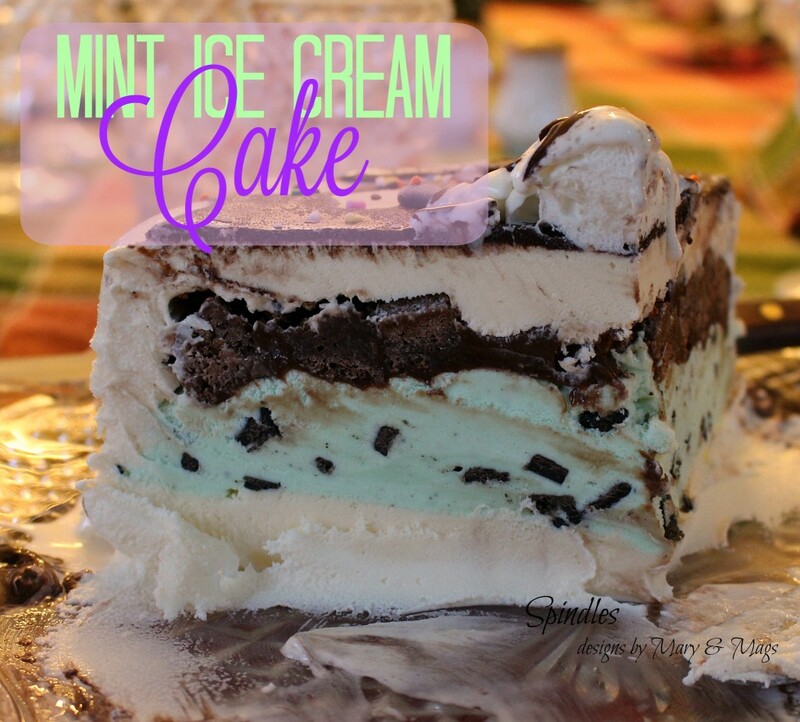 Thaw the Mint Ice Cream to spreading consistency. 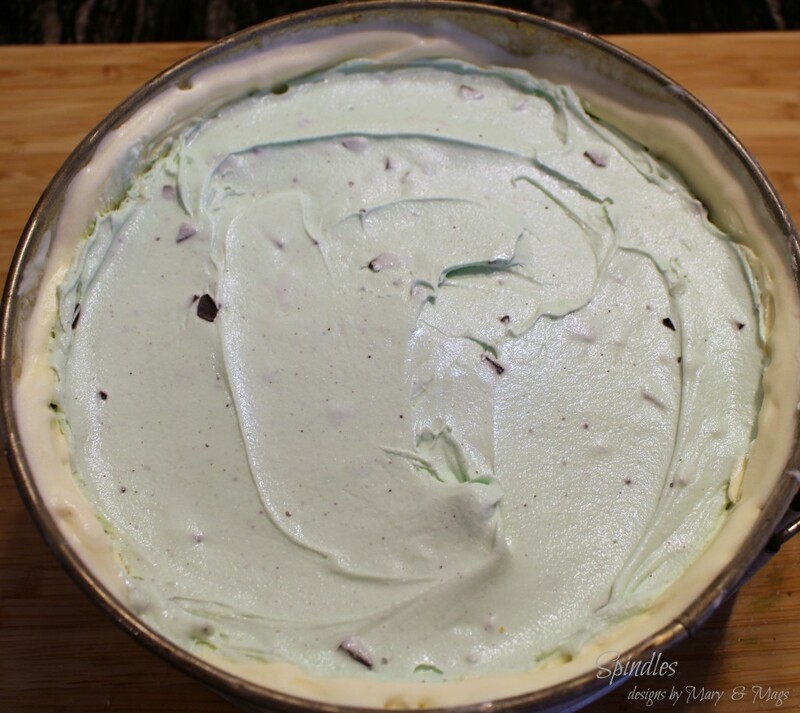 Spoon softened Mint Ice Cream into the pan leaving about 1/2″ to 3/4″ from the top. Place cake back in the freezer until it hardens. Re-thaw the partial and the 2nd container of Vanilla Ice Cream. 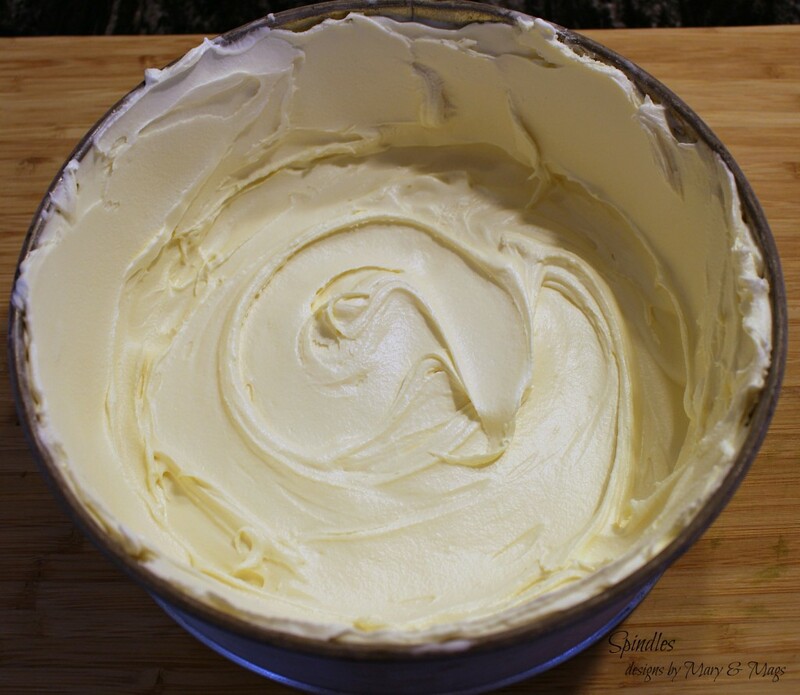 Spread enough Vanilla Ice Cream to completely fill the pan. Using an offset spatula scrape and level the ice cream. Replace in freezer until hardened. Remove frozen cake from freezer. Run a hot table knife (run under hot, hot water) around the inside of the pan to loosen the sides. Place a platter upside down on the springform pan and flip over. Open the clip and carefully remove the sides, remove the bottom and parchment paper. I used a cake decorating triangle that has teeth and went around the sides to give it that frosting look. 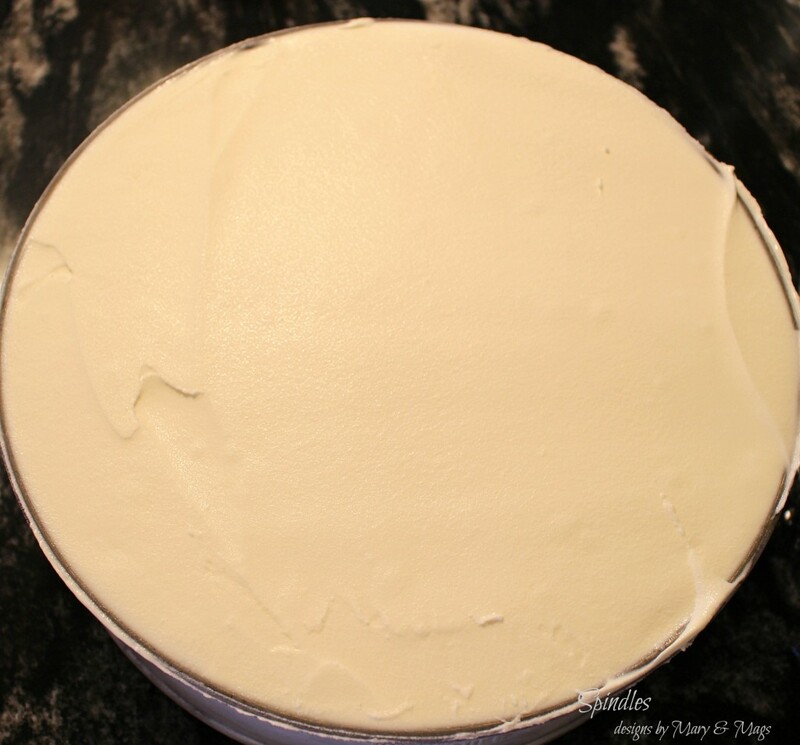 Use an offset spatula to smooth the top of cake. Place back in freezer while you heat the remaining hot fudge sauce in the microwave. 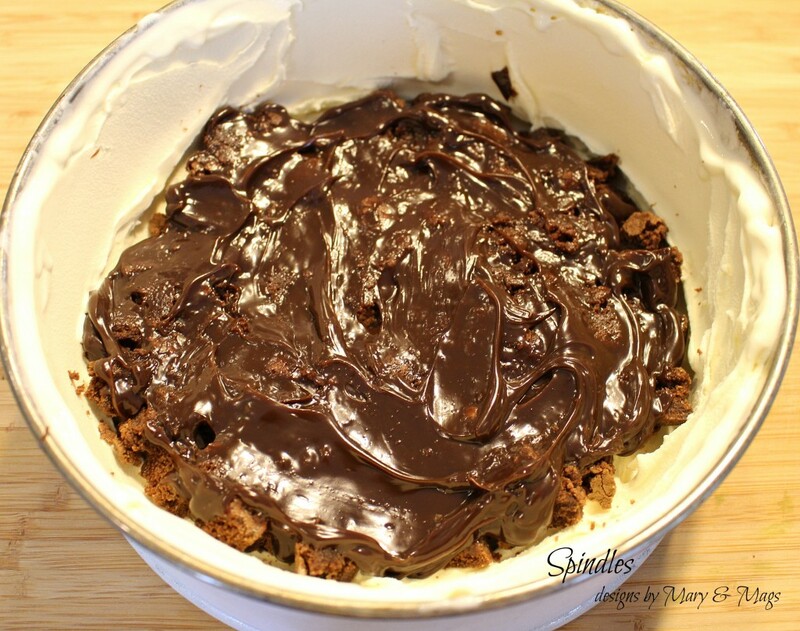 Remove cake from freezer and pour desired amount of hot fudge sauce over the cake. 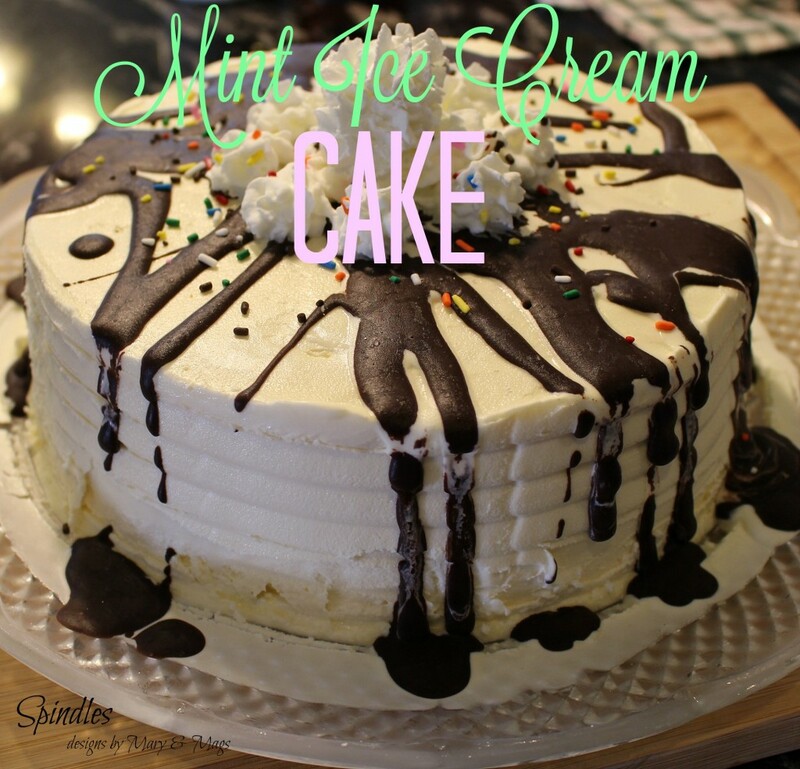 Decorate the top with whipped cream and sprinkles. Freeze until ready to eat. It turned out really nice and was delicious!